More than 150 world leaders will meet in New York this weekend to adopt the Sustainable Development Goals (SDGs), a set of global targets intended to end extreme poverty, fight inequality and injustice, and curb climate change. The SDGs will help set the global development agenda for the next 15 years, focusing attention on the opportunities that will allow for more a sustainable future. One such priority included is reducing global food waste. Specifically, SDG Target 12.3 will call for the world to cut per capita food waste in half by 2030. If met, this ambitious target will not only boost food security, but also improve livelihoods, reduce greenhouse gas emissions and save land and water. In short, curbing food waste is both a goal in itself and a means of achieving other SDGs. Globally, food worth $750 billion is lost or wasted each year throughout the entire supply chain. Reducing food loss and waste could help to recover these economic losses and reduce financial burdens on the world’s most vulnerable people. In Sub-Saharan Africa, one of the world’s poorest and most food-insecure regions, the World Bank estimates that just a 1 percent reduction in post-harvest losses could lead to economic gains of $40 million each year. And out of that $40 million, most of the benefits would go directly to the smallholder farmers growing the food. From an environmental perspective, food loss and waste are an extremely inefficient use of resources. According to a study by the UN Food and Agriculture Organization (FAO), food loss and waste accounts for about 3.3 gigatonnes of greenhouse gas emissions. To put that in perspective, if food loss and waste were its own country it would be the world’s third-largest emitter, only exceeded by China and the United States. Large amounts of water and fertilizer also go into the production of this food that never reaches human mouths. This is a big environmental cost to pay for food from which humans derive little to no use. 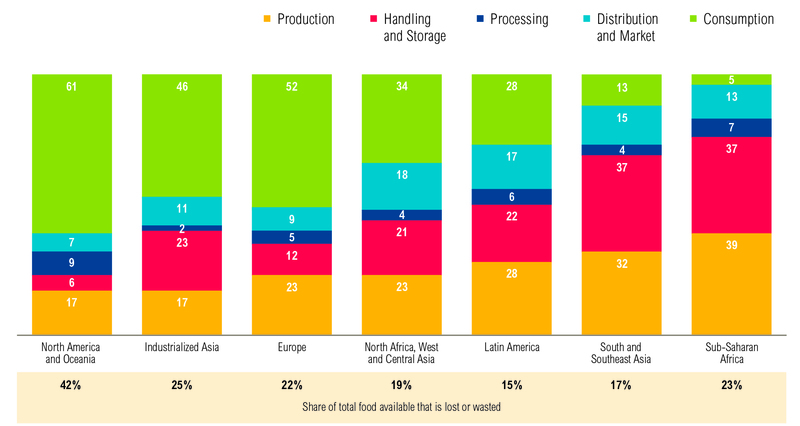 And from a food security perspective, reducing food loss and waste is a major opportunity to close the calorie gap between where the world is now and where it needs to be to sustainably feed the planet. The world currently faces a roughly 70 percent gap between the crop calories produced today and those that will be needed to feed a projected population of more than 9.5 billion people in 2050. Recovering some of this lost and wasted food can help close that gap while strengthening livelihoods and improving food security— without requiring any additional environmental costs. The good news is that food loss and waste—a chronically overlooked issue—is starting to get the attention it deserves, both from the public and private sectors. Just last week, the U.S. Environmental Protection Agency and U.S. Department of Agriculture announced an ambitious goal in line with the SDGs to reduce food waste in the United States by 50 percent by 2030. In just five years, the UK cut food waste by 21 percent, and Denmark achieved an impressive 25 percent reduction over the same time span. On the business side, the Consumer Goods Forum (CGF), which represents more than 400 companies across 70 countries, recently adopted a resolution to reduce food waste among member facilities by half by 2025. Here at WRI, we are working to reduce food loss and waste through the Food Loss & Waste (FLW) Protocol, along with our partners at the CGF, FAO, FUSIONS, UNEP, WBCSD, and WRAP. Working off the principle that “what gets measured gets managed,” the FLW Protocol is a multi-stakeholder effort to develop a global accounting and reporting standard for quantifying food loss and waste. 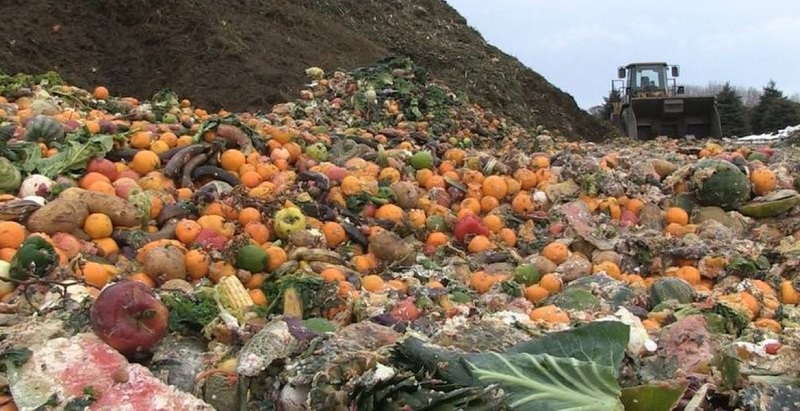 The Protocol’s forthcoming FLW Standard will allow companies and countries to quantify their own food loss and waste in a credible and consistent manner, identifying where and how much food is being lost and wasted. Companies and countries can then use that information to identify appropriate strategies for making reductions. This will lead to economic benefits, increased food security and reduced environmental impacts.